Though I called it a Packard Clipper in the headline, it should really just be “Clipper”, since Packard wanted to distinguish between the two lines, Packards and Clippers. So much so, in fact, that the early 1955 Clippers didn’t say “Packard” anywhere on the car. Dealers complained so a couple of Packard logos were added so dealers could prove to customers that they were real Packards. 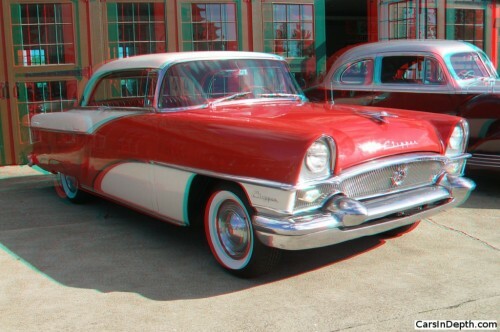 This entry was posted in 3D Imagery, 3D Photos and tagged 1955 Packard Clipper. Bookmark the permalink.